Water takes the shape and colour of any container you put it in. As the most watery of the water signs, you swimmers are affected more by your environment than any other sign. Choose your surroundings and influences with care whenever you can, exposing yourself to only those elements you wish to incorporate. So soak up some of that lovely Spring Sun and bring some of the blossoming world into your life with bouquets of green shoots and flower buds--take it all in! 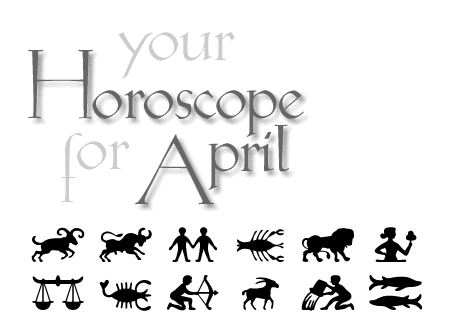 Pisces horoscope the month of April 2007. By Tofino astrologer Karedwyn Bird for Tofino Time Magazine.